Independent verification provides the client with professional representation to ensure building commissioning meets the expectations of design; providing independent inspections, monitoring, witnessing, and certification of all MEP systems. Responsible for regular inspections and checks throughout the installation process Dome Consulting verify that the agreed regime is being followed and non-conforming works are identified and addressed as the works proceed. The process is independently monitored and certified using our software solution Dome Connect, providing transparent and accurate reporting throughout the process. Dome Connect will provide a structured quality system for the independent verification and acceptance of systems, following your project workflow the system will progressively collate, approve and sign-off all associated commissioning documentation and certification. Providing an electronic copy aligned to the O&M manuals to assist in the operation of your building. Dome Connect can will capture issues and following your projects workflows will collaboratively track the issue and solutions from initial design concepts to handover and during the defects period. Dome Connect will track the testing and commissioning tasks and provide individual reports to suit your project needs. Each task is linked to the programme and up-dated as each task or sequence is verified, providing real time progress reporting across the web. The commissioning process requires clear definition of performance expectations, our team will develop the progressive acceptance test protocols (ATP) for each system and commissioning component. These protocols form the basis of a commissioning plan that are incorporated into the programme for progressive acceptance. Our engineers check and verify compliance using smart electronic forms in the field. Our professional engineers are experienced in the verification engineering and provide the rigour to ensure a quality process is implemented and provides a fully auditable system of sign-off. Commissioning is actually a collaborative process for planning, delivering and operating buildings that work as intended, encapsulated in the following definition: "commissioning is the process of ensuring that systems are designed, installed, functionally tested, and capable of being operated and maintained to perform in conformity with the design intent". Define and document requirements clearly at the outset of each phase, and update through the process of inspection, review of proposals and programme, and independent verification. 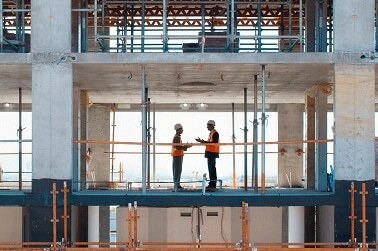 Witness, verify and document compliance at each completion level. Establish and document the commissioning process tasks for phased and complete project delivery. Independently monitor and report on the construction project to ensure at the time of completion the project meets the owner's needs. Verify that operation and maintenance personnel and occupants are properly trained. Support the facility across its life cycle. Dome Consulting are the leading Independent Commissioning Verification company with experience in many sectors to ensure you building is commissioned properly.